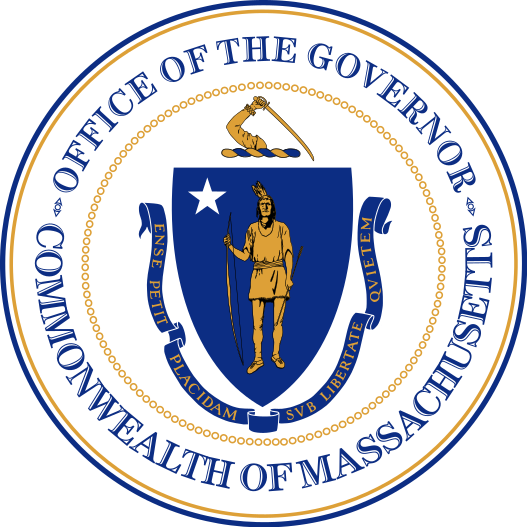 LAWRENCE — Today, Governor Charlie Baker and Lt. Governor Karyn Polito joined Secretary of Housing and Economic Development Jay Ash, Lawrence Mayor Daniel Rivera, North Andover Town Manager Andrew Maylor and Andover Town Manager Andrew Flanagan to announce a $1,000,000 emergency loan fund for businesses directly impacted by the recent gas explosions in Lawrence, Andover and North Andover. The fund will offer emergency loans to eligible businesses with no payments and no interest for the first six months. For businesses that extend beyond a six month period, market rates will apply and loans will be able to be extended or restructured for multi-year term loans. The fund will open October 1 and have an expedited application and approval process, with the goal of getting all applications processed within 24 and 48 hours. "The foundation of the economy of North Andover and the broader Greater Lawrence area is built on the success of our local small businesses,” said North Andover Town Manager Andrew Maylor. “This fund will help ensure that these small businesses will have access to the capital they need to meet their challenges, succeed, and grow." The fund is the result of the collective effort of Mass Growth Capital Corporation, Lawrence Partnership, the ten lenders involved with the Lawrence Venture Loan Fund and Mill Cities Community Investments (MCCI). A $250,000 loan loss reserve for this fund has been contributed by Columbia Gas. MCCI, a registered Community Development Financial Institution (CDFI) will be the lender of the fund, which will be launched on Monday, October 1. TERMS/RATES: this fund is being offered with no payments and no interest for the first 6 months. For businesses that extend beyond a 6 month period, market rates will apply and loans can be extended or restructured for multi-year term loans. Businesses can apply for up to $50,000. There is no minimum loan amount. APPLICATION PROCESS AND REQUIREMENTS: The fund is designed to create an expedited application and approval process, with the goal of getting all applications processed within 48 hours. For a full listing of required documentation go towww.wearelawrence.org/lawrencegasresponsebusiness. MGCC is a quasi-public corporation of the Commonwealth that saves and creates jobs at small businesses, including women, immigrant, veteran and minority owned businesses, by providing financial services and managerial assistance. MGCC also promotes economic development throughout the state, focusing on Gateway Cities and low to moderate income communities. MGCC works with traditional financial institutions to make challenging loans bankable, working with community development corporations and other non-profits to provide financing for job-producing projects, and assisting a wide range of small businesses find the growth capital they require. Since inception, we have served over 8,850 small businesses, positively impacted more than 21,200 jobs with customized working capital financing commitments totaling over $120,000,000. For more information, visit empoweringsmallbusiness.org. The Lawrence Partnership is a private/public sector collaboration for the economic development and general improvement of the City of Lawrence. Lawrence Partnership, is a 2016 winner of the Gateway Cities Innovation Award. For more information, visit lawrencepartnership.org. Mill City Community Investments, a local Community Development Financial Institution (CDFI) is the lender, underwriter and servicer of all loans under the newly created MCCI Merrimack Valley Emergency Loan Relief Loan Fund. The fund will service businesses in Andover, North Andover and Lawrence areas negatively impacted by the natural gas tragedy. MCCI is certified as a CDFI by the U.S Treasurer Department CDFI Fund, licensed as mortgage lender by the MA Division of Bans and as a Community Development Corporation by the Department of Housing and Community Development in Massachusetts. In addition to the loans, MCCI provides technical assistance to the businesses, an educational component that add value to the businesses helping them to stabilize or grow and prosper. For more information, visit mccinvest.org.